Okay, so the hair clips + tutu aren't exactly "summer themed", but they are cute, right? Plus, that tutu is total steal. I also bought Ellie sidewalk chalk but got the giant 48 pack because I liked all the pretty colors, and bubbles, but got the giant party pack that will last her until shes twelve years old... so, neither of those will fit in this basket. 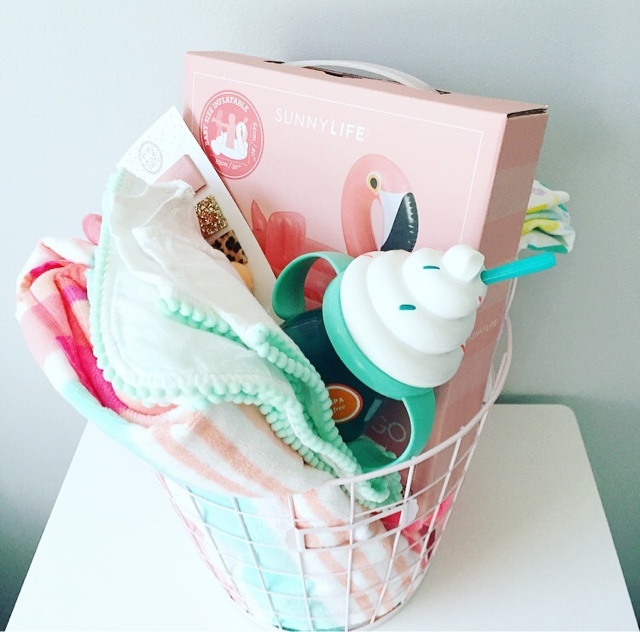 A few other basket ideas include sunglasses, flip flops, a bathing suit, beach/sand toys, garden themed items like toy watering can + shovel, a new book... you could even be super practical and throw in some sunscreen! 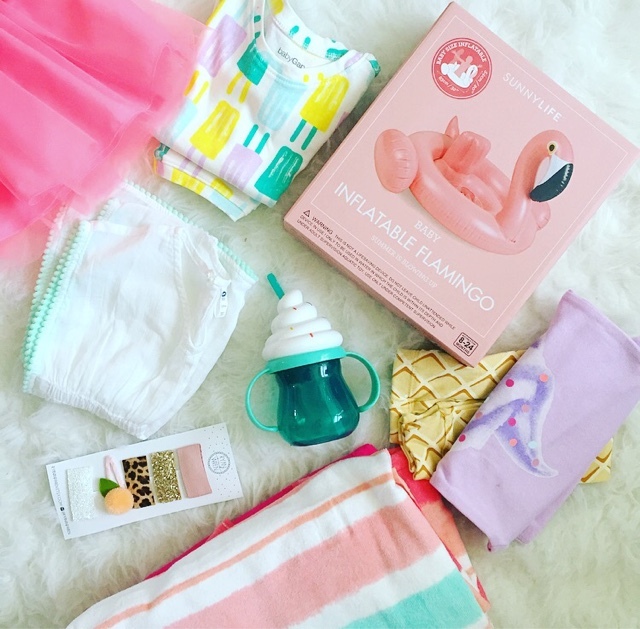 I think a summer fun basket is great for babies with spring or summer birthdays, and you could definitely change up the items as your babies grow (water guns + balloons, pool toys, outdoor sports equipment + s'more kits?!). OR, you could give this to someone as a Happy First Day of Summer gift (totally a reason to celebrate in my book) or a Happy Last Day of School gift... not that your kids really need something to cheer them up at the beginning of their summer vacation, but maybe to celebrate a good report card? :) Plus, I know I'm going to sound like I think I'm an old lady right now, but I'm pretty sure it's a fact that kids don't play outside nearly as much as they used to. So, anything to encourage them to get outside and enjoy the summer weather sounds like a good idea to me! I know that she will like her tutu because she seems to enjoy wearing the one she already has (which is the cutest thing ever), and totally plan on trying to fit her pool float in the bathtub for her birthday morning tubby (it's probably way too big)... which, in case you forgot, is a week from TODAY. The countdown is really on, guys! !